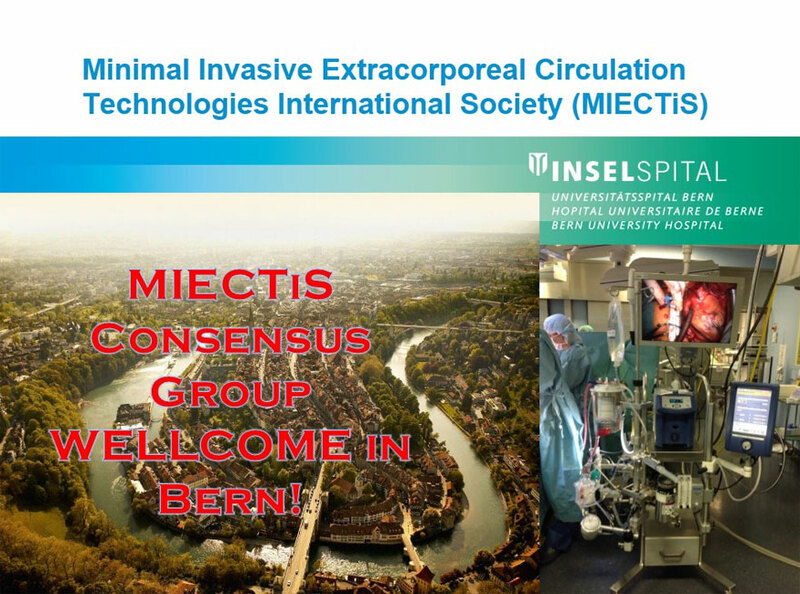 The MiECTiS Consensus Meeting was held in Bern on December 2014 during which a Consensus statement was written to define this technology and summarize the literature. The Position Paper is titled “Use of minimal invasive extracorporeal circulation in cardiac surgery: principles, definitions and potential benefits. A position paper from the Minimal invasive Extra-Corporeal Technologies international Society (MiECTiS)” and has been published in Interactive Cardiovascular and Thoracic Surgery Journal.